Want to take a quick video tour of the navigation? 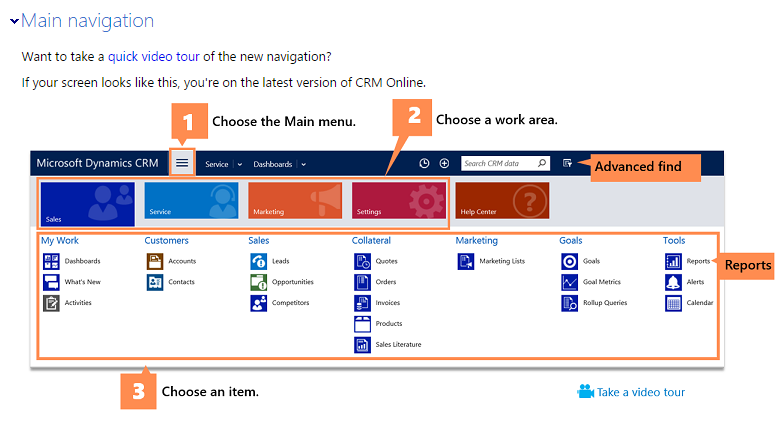 If your screen looks like this, you’re on an earlier version of CRM Online or on-premises CRM 2013 (or later). The preceding illustration shows how to navigate in older versions of CRM: choose Microsoft Dynamics CRM, choose a work area, and then choose an item. 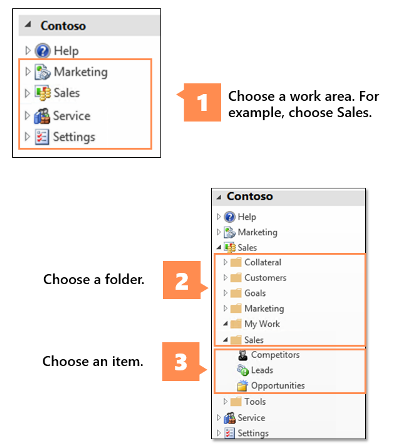 The preceding illustration shows how to navigate in Dynamics CRM for Outlook: choose a work area, choose a folder, and then choose an item. 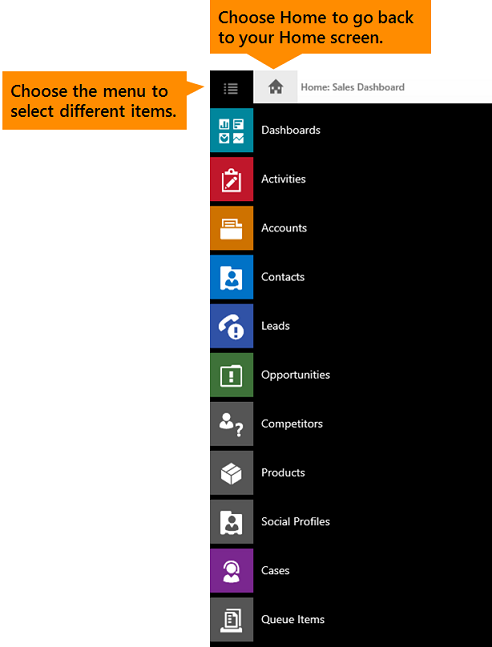 If your screen looks like this, you’re on CRM for phones or CRM for tablets. The preceding illustration shows how to navigate in CRM for phones and CRM for tablets: choose the menu to select different items or choose Home to go back to your Home screen.